My parents met as undergraduates in College Park, Md., so I grew up rooting for the University of Maryland. Naturally, I was saddened when UMD announced in November that it was leaving the Atlantic Coast Conference – which it helped found in 1953 – to join the Big Ten in 2014. But I feel as though I’m watching a bad movie I’ve already seen one too many times. As Colonials, we know how difficult it can be to spark interest in the men’s and women’s basketball games. And we know what it’s like to lack school spirit and campus tradition. And now, GW’s problems could just as easily begin to plague the University of Maryland. It saddens me because this was a move done without consideration for the most important aspect of college sports: tradition. In a blatant money grab in the name of student athletes’ so-called wellbeing, the University of Maryland has sold its priceless tradition and thrown away its identity for pennies on the dollar. As a kid, ACC basketball games against the University of North Carolina and Duke University were exhilarating. The hatred fans had for those teams was intense, and it made the games special and fun to watch. Whether we won or lost, the games were exciting because of the history and tradition that came with them. But that was then. Today, collegiate sports are stuck in a broken business model that relies on ticket sales, merchandising, TV deals and lots of money from alumni just to survive. Of course, money is important, but to build a strong athletics program, you need a strong campus tradition too. The familiarity that comes with being in the same conference and playing the same teams for decades is just as important as the revenue the teams collect. It builds a sense of rivalry between schools and creates memorable games. And while this move might shoot some revenue into the school’s athletic programs, Maryland is alienating generations of graduates and students. There is a time for rebranding, but this is not a simple facelift. This is massive reconstructive surgery. Unlike UMD, GW’s athletic program lacks a great history and tradition, mostly because we have no rivals. I worry that this move for UMD will garner the same results. Maryland’s administration justified this move as a way to solve its athletic department’s financial woes. But those problems won’t disappear when Maryland leaves the ACC. Dave Brandon, athletic director at Big Ten powerhouse University of Michigan noted on 60 Minutes Nov. 18 that only a handful of colleges have athletic departments that break even – let alone earn a profit. Maryland already plays in a competitive conference and has developed decent football, basketball, soccer and lacrosse teams. Those sports are part of the tradition and culture of the University, and Maryland will likely be short-changed with this deal. One of GW’s greatest flaws is its lack of tradition. And that manifests itself most harshly in our turnout for games at the Smith Center. I’m afraid by moving to the Big Ten, Maryland will find itself caught in this same trap. 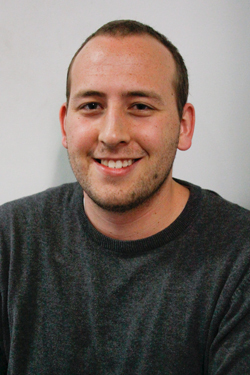 Benjamin Krimmel, a junior majoring in international affairs, is a Hatchet columnist.